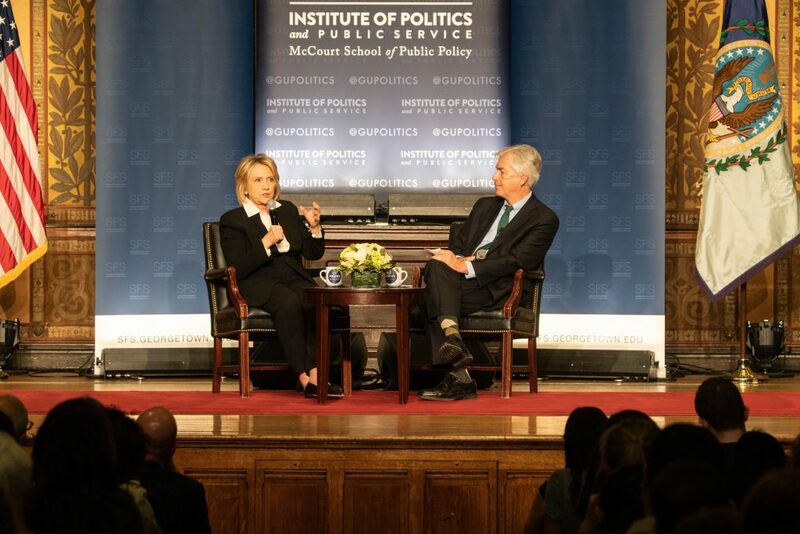 Calling for a stronger, smarter, and more valued diplomacy, Hillary Clinton spoke in Gaston Hall in a conversation moderated by former U.S. Deputy Secretary of State Bill Burns. 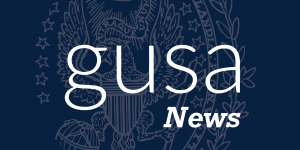 The event concluded the Feb. 6 symposium on “The Future of Diplomacy,” hosted by the Georgetown Institute of Politics and Public Service at the McCourt School of Public Policy and the SFS. The symposium was part of the SFS’s Lloyd George Centennial Lectures on the Future of the Global Order. The conversation began with Clinton reflecting on joining the State Department, where she was tasked with restoring the U.S.’s global image after eight years of the war on terror in the Middle East. “I’m going to focus on the economy, you go focus on the world,” Clinton recalled Obama telling her. 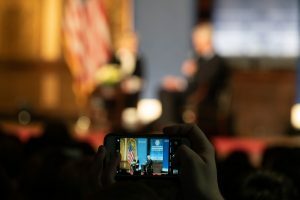 As Secretary of State, Clinton said she believed in using a “smart power” approach to diplomacy: knowing when to properly utilize hard power and soft power in a given situation. Burns noted that this year marks the 70th anniversary of the founding of the North Atlantic Treaty Organization (NATO), and Clinton stressed that the United State’s greatest assets are its alliances, which she believes are the “envy of everyone,” and should not be taken for granted. Following the conversation, Clinton answered several questions from students.